The Catalan was elected as director of the Architectural Association (AA) in March this year, and joins the school following a period of turmoil that has seen protests from famous alumni including Rem Koolhaas, Toyo Ito and Richard Rogers over a round of redundancies aimed at cutting costs. Currently director of Storefront for Art and Architecture in New York, she pitched for the job with a commitment to respect the school's non-conforming traditions, while making it more relevant to the contemporary world. "The AA has played a seminal role within architecture culture," she told Dezeen. "I consider it seminal that one of the most radical and influential architecture institutions in the world continues to inspire and to transform the way we teach, communicate and produce ideas and architecture." In her vision statement for the school, Franch i Gilabert is forthright about how the world has changed, while architecture and architectural education has not. "The sense of historical responsibility and radical playfulness within educational and cultural institutions has languished," she wrote. "Architects and architecture institutions have either become too satisfied with commonplace formulations such as sustainability, participation, and bottom-up practices, or too hermetic with self-proclaimed avant-gardism and meta-discursive narrative with an aesthetic devoid of any social or political currency." Architecture needs to shake itself up and engage with the wider world, she said. "We need to become better at explaining the power of architecture in addressing, unveiling, and sometimes even resolving some of the most pressing issues that society faces." Located in a Georgian townhouse in Bedford Square, central London, the AA is one of the most influential architecture schools in the world. It is fiercely independent and has a reputation as a hotbed of radical experimentation. It is a participatory democracy where staff and students vote for the governing council and the director. Franch i Gilabert received 67 per cent of the vote, giving her the biggest majority for a new director since 1990. Yet it is small, cash-strapped and lacks the ability to award recognised degrees. This has led to problems securing visas for fee-paying overseas students, which are essential to the school's business model. Franch i Gilabert says the school needs to diversify its revenue streams and attain degree-awarding powers – but she says these issues are facts rather than priorities. Her central mission lies in reinvigorating the school as a cultural force. "The AA has a domestic scale with a cosmic energy," she said. "It feels like a home for anyone who is interested in architecture and the constant redefinition of it." Marcus Fairs: How did you first discover your interest in architecture? Eva Franch i Gilabert: I did not discover architecture. Architecture was always there. I grew up next to the Ebro River in a small village in the middle of a delta – a total manufactured landscape of rice fields where architecture, as buildings and territory, was the constant mediator between the forces at play. As a teenager I loved technical drawing, philosophy, and most of all mathematics, equations, and especially second derivatives. I would spend days just solving optimisation problems, making equations intersect in space for just pure pleasure. It was ultimately my professor of mathematics that encouraged me to apply to architecture school. Marcus Fairs: Tell me about your career. Eva Franch i Gilabert: I have worked in an archive, in a urban planning city office, in an architecture office, in a university, in an island, in a castle, in a basement, in a pavilion; in Deltebre, in Barcelona, in Rotterdam, in La Habana, in Buffalo, in Houston, in Stuttgart, in New York, in Venice, and on a plane. As a student I was working part time at the Gaudí Catedra [a research centre in Barcelona dedicated to the architect Antoni Gaudí] helping with the cataloguing of Gaudí's drawings. During the summer I would take internships in the local metropolitan agency for architecture and urbanism of my home town, where I would engage in small design projects for civic spaces. I continued with internships within the university working in the urban redevelopment of Haiti, mapping bidonvilles from aerial photographs in a pre-Google era, and identifying possible developments and placement for urban infrastructures, transportation systems and public amenities. My first internship in a firm was in Rotterdam, where public buildings, large masterplanning, and social housing became my main focus. After three months they offered me a full-time job that I took. After winning enough competitions I moved to Barcelona, where I started my firm OOAA (Office of Architectural Affairs) to produce projects independently while also collaborating with other firms and artists. At 24, I realised I wanted to unlearn a bit more before continuing. I obtained the LA Caixa full fellowship to study in the US. I was accepted at Sci-Arc, Yale, GSAPP, GSD and MIT, but I decided to go to Princeton. The day after my thesis presentation at Princeton I drove to Buffalo, upstate New York, where I had taken a teaching job. I stayed there as the Reyner Banham Fellow, learning how to teach and setting my own agenda for a year and a half before driving for four days south to Houston, Texas in the summer of 2008 to take a teaching job at Rice University as the Wortham Fellow and the coordinator of the Master Thesis Program. After the first year, the new incoming dean suggested I apply for the directorship role at Storefront for Art and Architecture in New York. I did, even though I had no references about what being a director meant at that time. After an international competitive search of 74 candidates, I got the job. I have been at Storefront since the fall of 2010, curating, overseeing, commissioning, producing, and enabling more than 30 exhibitions, hundreds of events, one architecture office (OfficeUS), six publications, several projects around the world, competitions, digital projects and platforms, and countless collaborations and conversations with the aim to transform the way with think and construct the build environment. Marcus Fairs: What's your view on architecture education in general? Eva Franch i Gilabert: This is what I wrote in my vision statement for the AA: "Over the last decade and as a result of new forms of communication, omnipresent market forces, and increased global mobility, cultural and educational institutions around the globe have undergone a process of homogenisation. Identities have become brands, citizens have become consumers, and the sense of historical responsibility and radical playfulness within educational and cultural institutions has languished. "Architects and architecture institutions have either become too satisfied with commonplace formulations such as sustainability, participation, and bottom up practices, or too hermetic with self-proclaimed avant-gardism and metadiscursive narrative with an aesthetic devoid of any social or political currency. However, contemporary events within our global context have to be felt as undeniably urgent and historical. The challenges that we all face today as global citizens and as architects are growing in scale and complexity. We are in more need of new vectors of desire and action than ever." Marcus Fairs: Why did you apply for the job of Architectural Association director? Eva Franch i Gilabert: The AA has played a seminal role within architecture culture. As someone who decided to engage in the production and redefinition of architecture culture, I consider it seminal that one of the most radical and influential architecture institutions in the world continues to inspire and to transform the way we teach, communicate and produce ideas and architecture. The AA is not only a school that relates to its student body, or its members, the AA is an institution that the entire architecture community looks at and looks after. Many people will assert that the AA has gone through some difficult times. Architecture, in some way, needs the AA to do well and in that sense we all realized someone had to do the job. While we all know it is not an easy one, it is an important one. I work for two institutions I respect and love in New York: I direct Storefront for Art and Architecture and I teach thesis at the Cooper Union. I did apply to the director's job with a sense of duty, and on behalf if you want, of all of those who care about architecture and how it relates to the world we live in. The AA needed someone to take it to its future, and I believed I could contribute to it. Marcus Fairs: What plans do you have for the school? Eva Franch i Gilabert: The AA as a school, but more importantly as an idea, is an institution that enables and empowers architecture to rethink architecture itself but more importantly the world around us. Throughout its history the AA has been the referent — when not the origin — for the production of relevant forms of inquiry, discourse, and radical practice in architecture schools, cultural institutions, and architecture firms worldwide. The AA has been historically a place where architecture meets other forms of expertise to produce new synthetic thought, form, and action. While architecture schools usually are concerned about what architecture has been, I am also interested in what architecture can be. While in the past decades there has been a focus in the specialisation and the atomisation of architecture practice and expertise, architecture is one of the only disciplines that has the privilege and responsibility to bring all the spheres of society together. To bring politics, ethics, and aesthetics into a new form of collective aspiration. Bringing technology, biology, sociology, philosophy, poetry, law, economics and more together is something that the AA has been doing and that I plan to continue to do. Stephen Hawking lectured at the AA in 1999 talking about Space, Time, Reality. Or more recently this January, Brian Eno talked about the consequences that universal basic income could have in the making of our communities, among many other topics. I am interested in bringing architects into conversation with other disciplines to be able to get us there where we are going, early. While architecture is always very slow – it takes years to make a building – and art is always on time, precise, incisive, capable of really responding to the pressing challenges of our time, I do believe that only poetry can get us there early. I believe we do need not only to be on time – and architectural thought as art can also be on time – but what we need is to be early. I am interested in a theory of earliness. So what I plan for the AA is to get where we are going early. Marcus Fairs: What's your vision for it? Eva Franch i Gilabert: Society is facing incredible challenges, environmentally, technologically, geopolitically... How architecture is able to respond to those challenges depends on how architecture is able to also rewrite its own history, its disciplinary grounds, and its forms of knowledge production and collaboration. I am interested in creating a pedagogical project that directly addresses architecture's power in the transformation, construction, and imagination of a better life and built environment. I plan to produce a culture of research and design practice that is able to address the social, political, and spatial conditions through a forum of experimentation guided by aesthetic and ethical modes of practice. I envision a school that enables new collectivities, that agitates and questions existing power structures, and that experiments with new aesthetics able to produce a powerful set of tools to positively affect the world in which we live. The AA is a place of convergence, not only of many disciplines but of architecture culture overall. Understanding the importance of collaboration not only in relation to our growing technologically fuelled context within professional spheres, but also in educational and research institutions, I do see the AA playing a fundamental role in bringing the architecture community together, virtually, but also physically. Marcus Fairs: What is special about the AA? Eva Franch i Gilabert: That is a long list. It's a participatory democracy to start with. They elect their director! The students, the school community, the staff, the faculty, the council, they are all members of an institution that takes seriously its mission to provide a space for the learning and development of architecture and the production and dissemination of architecture culture. It's a home. When one – and I mean anyone – opens the door at 36 Bedford Square and that door closes behind you, you feel immediately part of the AA world and its mission. You walk up the stairs, turn right into the bar or the terrace and start a conversation with anyone, about any topic, and slowly all becomes architecture. The AA has a domestic scale with a cosmic energy; it feels like a home for anyone who is interested in architecture and the constant redefinition of it. It's a labyrinth. You can literally get lost in it. From the archive to the digital-fabrication lab passing by the canteen you might be exposed to a corollary of agendas and issues and environments that help you better understand the broad spectrum of architecture knowledge and culture. It's a universe. The AA publications, the bookstore, the library, the public lectures and the exhibitions are world renown. The Visiting School engages with students and communities in more than 45 sites around the world. Hooke Park, a 350-acre campus in the countryside in Dorset is a paradise laboratory. The mediums, formats, and constituencies that form the AA are as diverse as one can imagine. And last but least, it's an experiment. The entire school community is constantly seeking to redefine itself to better understand how do we as a discipline better serve society. That might take the form of a unit, a publication, a performance, or a party, but the spirit, sometimes latent, is always there. Marcus Fairs: Explain the issues facing the school. Eva Franch i Gilabert: The AA, as an independent institution does not receive any government funding. The increasing of rents is a reality that many Londoners face and the AA is not exempt from it. While the school has been serving the architecture community for years providing a major source of lectures, events, exhibitions, and symposia to the general public, the school has historically been solely funded by students, members, and some generous donors. The AA wants to increase the level of support from and engagement with the architecture community that it serves and therefore improve and diversify its sources of income. The AA's global campus is constantly changing, yet its space of reference is in central London, in the historical campus in Bedford Square where the bookstore, the bar, and the core of the school resides. The AA's commitment to its historical campus in Bedford Square, in parallel with the incredible opportunities offered by the 350 acres of the Dorset campus, together with the visiting schools around the world, offer an incredible agile context to learn, teach and disseminate architecture and architecture culture today. Marcus Fairs: The AA doesn't have taught-degree awarding powers. What does that mean and why is it so important to secure these powers? Eva Franch i Gilabert: Securing taught-degree awarding powers (TDAP) will be an important step in the school's history and a critical one in an increasingly regulated and complex higher-education environment. Without TDAP, the AA Diploma – widely known and internationally acclaimed – is not an academic award recognised by the UK government, and AA graduates regularly encounter challenges when returning home or to other overseas countries for the purposes of professional development or further academic study. TDAP will secure the status and strengthen the international reputation of our academic qualifications. In recent years, the AA has carefully negotiated and secured temporary special designation with government agencies while it seeks to attain degree awarding powers. Attaining these powers will allow AA students to gain parity of rights and benefits as well as securing the AA's cherished principles of academic freedom, independence and internationalism. And last but not least, the school will finally appear in the official rankings that until now have not been including the AA because of its independent status. Marcus Fairs: There has been a lot of speculation and confusion about the future of the school, about its financial status and whether it can afford to stay at Bedford Square and its lack of degree-awarding powers. Can you clarify the situation? Eva Franch i Gilabert: None of these are priorities; they are just facts, issues we need to address and resolve in order to focus on AA's mission as an educational and cultural institution with its exhibitions, events, lectures, publications, and public programs. We are staying in Bedford Square; and regarding degree-awarding powers, while most of the hard work has already been done, we will keep on working to receive TDAP. Cultural institutions are not just brands: they are places, and not places they own, but places they engage with. The AA, even with its global reach, is incredibly rooted in London. Being next to the British Museum, one of the most important cultural institutions in the world, is just one of the obvious reasons: who would not want to have that as part of your extended campus? Every single architect I know, when passing by London, they might first go to the British Museum, but then they follow to the AA. First checks on the bookstore, then sees if there is any exhibition, meanders through the corridors for a glimpse of emerging ideas, debates or discussion, and ultimately ends up in the bar. The bar, as a classroom, as a place where one learns not only from faculty and colleagues but also from visitors, is perhaps one of the most idiosyncratic aspects of the AA. The bar is not just a place to grab a coffee or a drink, is a place where to grab and develop new thoughts and new ideas. We certainly will need the support of the architecture community and all the Londoners that believe in it, but we are staying. Marcus Fairs: What's good and what's bad about architecture today and what should change? Eva Franch i Gilabert: I believe that architecture is the discipline with the privilege and duty to articulate the different desires and realities of society in a specific moment in time. Architecture has the ability to bring together the social, the economic, the political, and the technological in a project of collective aspiration. But more importantly, architecture is the discipline that understands society as a whole, being able to advocate for those who are unable to sit down at the decision-making table. Architecture sits for all. Architecture education needs to redefine its disciplinary foundations and to identify new forms of relevant action. We need new historians willing to produce new historiographies capable of giving disciplinary foundations to historically disempowered narratives. We need to enable innovative forms of research and design that engage with an increasingly complex world with ever-changing conflicts. We need to produce and test new labour structures and forms of practice within a global and digital context that allow for higher forms of equity. We need to ignite new forms of activism, radical engagement, and political agency within our field. We need to pioneer new design processes and material production in relation to rapidly evolving digital design disciplines. We need to envision transversal platforms capable of enabling new collectivities, new forms of assembly and knowledge transfer. Marcus Fairs: Why do so many women study architecture but so few make it to the top of the profession? What are your views on the current debate about gender balance? Eva Franch i Gilabert: We are seeing significant change in many fronts, and I do think that more women are rising to the top, as defined by inherited standards of success. But more importantly is that the idea of the top is also being redefined, and the ways in which one gets to it. We still live in a society that values recklessness but more and more I want to believe that meritocracy and diversity are the raising forms of selection. There are growing values in our society that might have not been understood in the past and that we are all starting to consider as seminal in the construction of our lives and the built environment. Diversity, complexity, equality: these are all values that I believe and hope we all share. To work towards those goals not only in relation to gender but also other factors is one of the tasks of our generation. Class, gender, race, and disability are all factors that need to be studied not independently but also in combination to understand how these affect each individual and the communities in which we live. Marcus Fairs: What about architecture and the way it's perceived? Eva Franch i Gilabert: There is not only one architecture but many. I am less interested in architecture with capital A, and more interested with architecture with capital E (enabling, empowering, educating...). I am interested in making visible – and comprehensible – the power of great architecture and design to everyone. What is undeniable is the power that architecture has to bring people together, to enable, catalyse, ignite, and redefine the way we live together. However too often architecture and architects are perceived through simplistic and reductionist definitions. We need to change the way in which architecture and architects are perceived. Idea models drive architecture, but we live in a world driven by business models. It is often too hard to understand the value proposition that architects present, so we need to become better at making those ideas visible. I ultimately believe we all want to inhabit a more equitable free world, and I think architecture and architects are the ones fighting for it. Marcus Fairs: What needs to change? 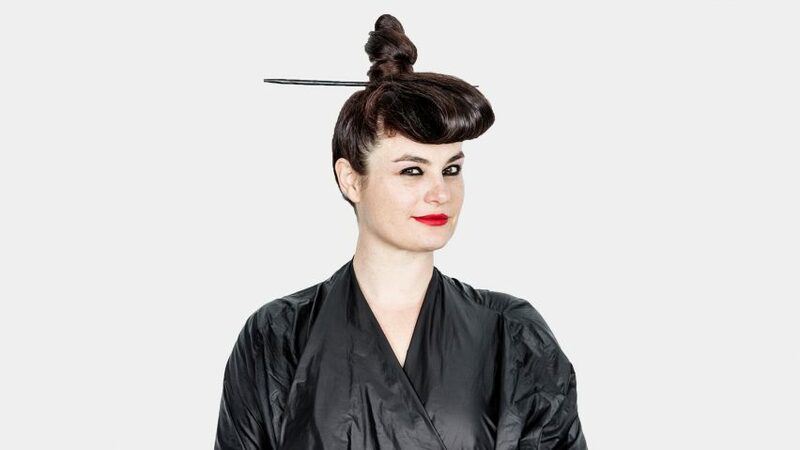 Eva Franch i Gilabert: On the one hand, the architecture profession has been under attack for a few decades in many different cultural contexts. While everyone values the importance of great urban spaces and great architecture, very few people are able to understand the ways by which architecture participates in the making of those. The design intelligence that architects bring into the making of our built environment is not always as easily understood as the one that engineers, artists, or project managers bring into the table. We need to become better at explaining the power of architecture in addressing, unveiling, and sometimes even resolving some of the most pressing issues that society faces. We need as a society to better understand the lessons that different cultures have produced throughout history, and refocus our relentless spirit of change to better address our challenges and desires. Understanding the politics of aesthetics and the emotional and cultural constructs behind everything we do and desire, is paramount to produce a new space of convergence where we can construct a shared space of understanding. Of course as builders, architects can materialize the aspirations or desires that politicians, clients, or citizens pose, but the most fundamental contribution that architects offer to society is to help articulate where we as a society want to go, the terms of engagement, and its built form.